AMARILLO, Texas. Joe Don Mergen has just six weeks of freedom left before he begins the school year as a sophomore at Darrell Royal High School here, but he says he's looking forward to Labor Day even though it will mean a return to school books and an end to summer fun. "It'll mean the end of two-a-day practices, and I'm all for that," he says. Joe Don was a highly-touted halfback at Tommy Nobis Junior High School, but a crushing tackle in the last seconds of a come-from-behind win over archrival Bum Phillips Voke-Tech left him with a fractured vertebrae, effectively ending a promising football career. "Water, water, everywhere . . ."
"I was real depressed there for a while," he says. "I considered suicide, but I learned at Vacation Bible Camp that you can go to hell for that." So Joe Don followed the route taken by an increasing number of Texas teenage jocks whose football glory days are prematurely cut short and joined his high school's Cowboy Poet Squad. "It gives you something to say to girls," he says with a shy smile. "Most of the guys on the football team never get beyond 'Wassup?'." The frontier ethic that turned Texas high school football into a metaphor for the hardscrabble nature of life on the windswept plains of the adjective-rich Lone Star State has been carried over to high school poetry with the tradition of "two-a-day" practices. Morning practices begin at 6 a.m., and there is a second afternoon session every day until Labor Day. 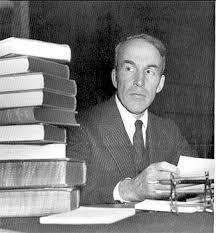 "This is where we separate the Archibald MacLeish's from the Rod McKuen's," says head coach Jim Ray Dugan, a former English major at the University of Texas. "I don't want to hear any sentimental 'June-moon' crap out there today-understand?" he barks at thirty young men who fear that they will be consigned to the school yearbook staff if they don't make the cut for the Cowboy Poetry Squad. After limbering-up exercises that include limericks and Burma-Shave rhymes, the boys disperse into offensive and defensive groups, with Dugan taking the Romantics while his assistant, Ray Eberle, works with the Symbolists. "Guys, we've got six weeks before we play John David Crow Prep," he says, referring to a long-time powerhouse that had three representatives on the Parade Magazine High-School All-America Poetry Team the previous year. "You guys have got to be sharp, you've got to scan your sonnets precisely, okay?" "Yes sir!" the boys shout in military fashion. "Mergen-line up against A.C.," the coach says, referring to an African-American senior named Alonzo Carl Byrd who is already drawing comparisons to Langston Hughes. "When I give the signal, you peel out, okay?" he says to A.C.
One went to Dallas and the other went wrong. Mergen back-peddles and keeps Byrd in front of him, as he's been coached. Suddenly, Byrd puts the "up" move on him after Coach Dugan pump-fakes a pass to the sideline. While he kept singin' day and night. The juke-step has given the receiver a yard on the defender, and the coach lofts a tight spiral that Byrd is just about to haul in when Mergen recovers. And you ain't half the man of Truman Capote. 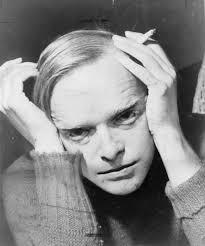 Truman Capote: "Why did you put me in this post?" "Good job, son," his coach says gruffly, not wanting praise to go to the young man's head with the home opener coming up. 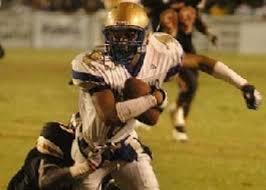 As Mergen trots back up the field, his coach notices that A.C. Byrd is bent over, puking up his guts. "Goddamn it A.C.," Dugan yells. "Were you out drinkin' again last night?" "Just some amaretto while I worked on my sestinas," Byrd says, obviously winded from an elementary pattern he should be able to handle easily if he had followed the squad's mandatory offseason conditioning program. "If you guys think you can go out there and sling a few similes around and beat John David Crow, you are sadly mistaken," the coach says as he shakes his head. He blows his whistle and calls the entire squad into the middle of the field for wind sprints. "All right, we're gonna go at it hard today, cause I get the impression some of you been doggin' it on me," the coach says, and the budding poets inhale deeply, preparing themselves for the worst. "Haikus and villainelles, stay right here. Elegies and terzanelles, over there." 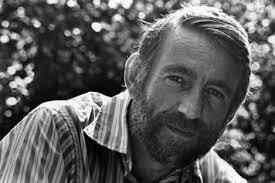 Ah...Rod McKuen. Do you remember that two-line poem? And then there's ... "Sometimes you have to listen to the warm." I froze the night I listened to the warm. I was the winner of the Tommy Nobis-Karl Shapiro Award for best sonnet by a middle linebacker my senior year.